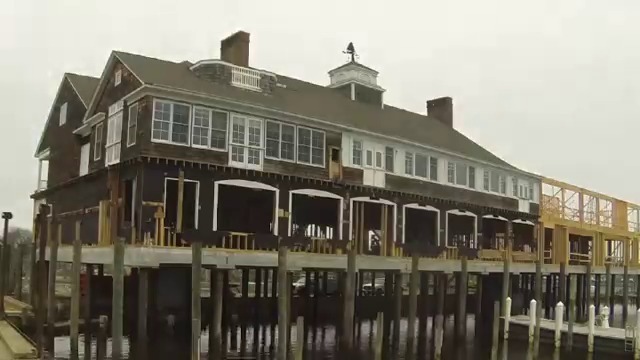 FEATURED - "Moving the Bay Head Yacht Club"
Featured in our Yacht Club Profiles & Stories Page, the Bay Head Yacht Club produced an interesting video documenting their recent move after Superstorm Sandy destroyed the coastline of New Jersey. This nautical documentary uses rare footage to follow the boats and crews of the late 19th and early 20th centuries who dared the 18,000 mile voyage from New York to San Francisco, including passage around the infamous Cape Horn. Narrated by Jason Robards. This 14-minute video by America's Cup legends Bill Koch and John Bertrand takes a look at the "bleeding edge" of Cup-level competition from the beginnings of the regatta back in the 1800s. Using some rarely-seen archival prints and footage, they examine the limits of yacht design and tactical decisions that make the difference between winning a race and losing the boat. See the remarkable details of the Henry Rodgers Ship Model Collection, which includes 108 models of sailing ships and boats dating from 1650 to 1850, many scale models built for British Admiralty. In 1935, Colonel Henry Huddleston Rodgers bequeathed this collection to the U.S. Naval Academy. Using cameras typically employed in medicine, the video uncovers intricate details of below-decks portions of the ships - sights not seen since these antiques were built. This documentary originally aired as part of A&E's "Sea Tales" series. It is a little-known story about a band of young yachtsmen and fishermen who were recruited during World War II to help protect the United States' East coast from Hitler's deadly fleet of Nazi U-Boats.